I am writing another post today as my mom is coming to visit and we will be busy doing things around the house. There may be a couple days without a post. Just letting you know. Got a text from a coworker last night. Four in fact. Then she thought I was ignoring her. Second off what happened to maybe I was busy, maybe I was sleeping etc. Why is it the world now expects you to answer right that second when they decide to text you at that moment. It pisses me off big time. Then I read the other texts. Seems my boss has again screwed another coworker in favor of Annoying. She was out on medical leave came back set up at her normal place and clinic only to be told that her job has totally changed and she has been assigned to a whole new clinic. This is at least the second time this has happened and no courtesy phone call the night before giving a heads up. Damn. Kind of worries me a bit. I mean really? I can only imagine how I'd feel if that happened to me. It's one of the clinics that Annoying has taken over. I honestly don't know any more details. Maybe the doctor didn't want her back who knows. What I do know is the shock and surprise would certainly make me start looking for another job. Maybe that's the ultimate objective they have for this person? Saw the shrink for the first time. I liked her. Hopefully she will do me some good. I also totally didn't take any work eye pictures for you. Damn I'm a slacker! With my mom here this weekend, I most likely won't get to do a full face of makeup. But never say never right???? All right. 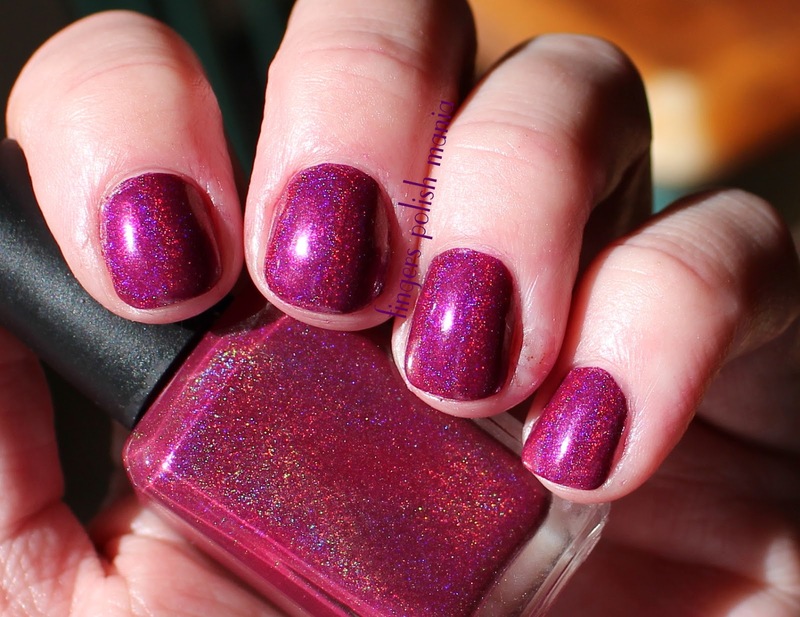 Enchanted Polish. If you're new here you need to know EP is my all time favorite brand. I will be selling off most of the rest of my collection as I have stated recently in favor of EP. Today we have two very new and very recent colors. The first one is November 2015. A gorgeous deep berry holo. This is after a fresh file job. Nice right? Next we have Garland from a set of five creams recently sold. 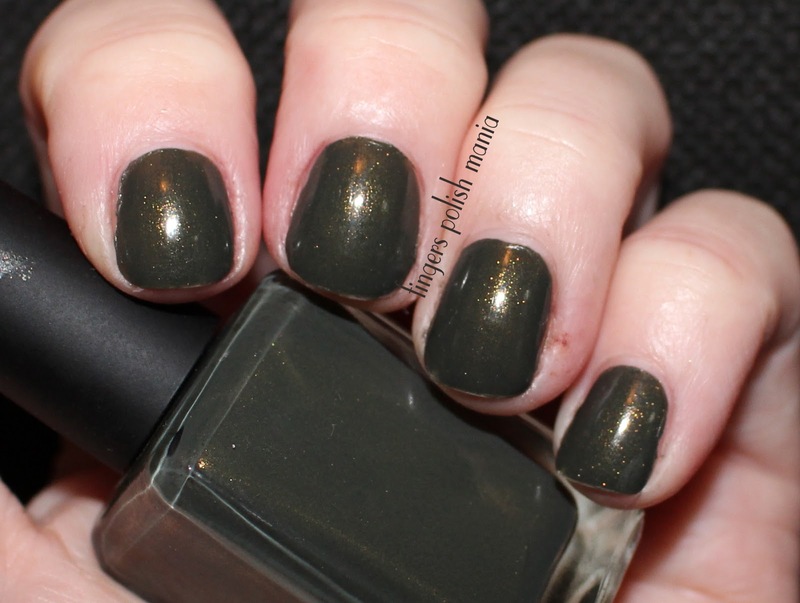 Garland is a dark foresty green with gold shimmer. 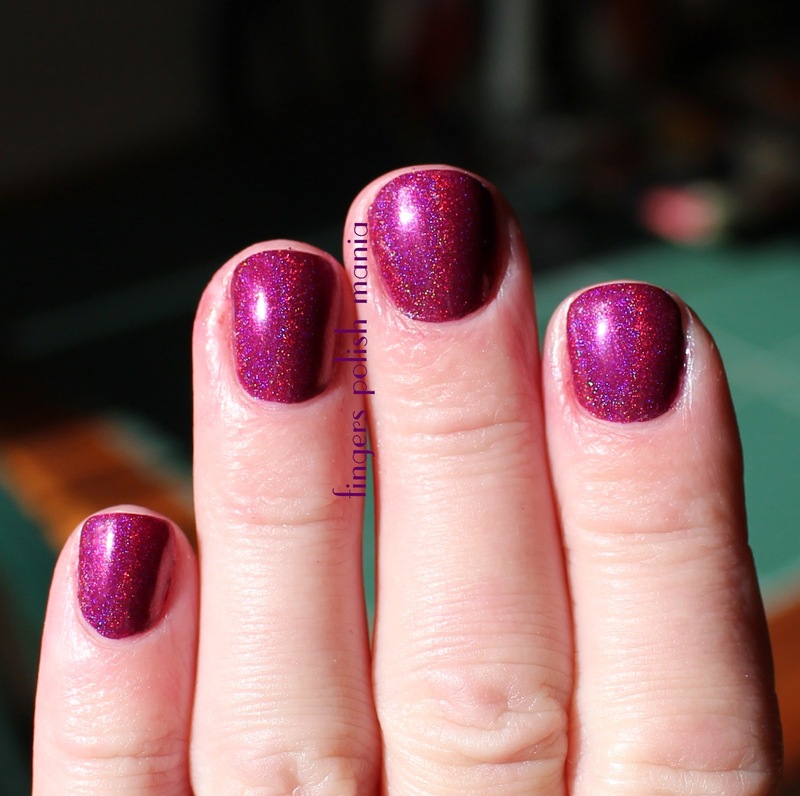 For some reason, my Seche did the tip shrink thing. So annoying. But this color is so me. Not the best pictures, but trust I love this color. It's not for everyone but that just means more for me! I have many more new EPs to show you. Oh and because I know some of you love these stories. I vacuumed today as it had been so long that I had spiders building webs in the bottom floor corners! So yeah, they have now all been evicted.